Now if that doesn’t convince you that Google reviews are important to your business’ online success, we don’t know what will! Before diving into the statistics to support the importance of Google business reviews, let’s look at a real-life scenario. Put yourself in this situation: You’re visiting an unfamiliar city, let’s say Boston, and you’re craving a latte. Without a friend that knows the local area, Google is all you need to find a cozy café. So you pull up Google on your phone and search for local cafes and the results come back with a few nearby options. 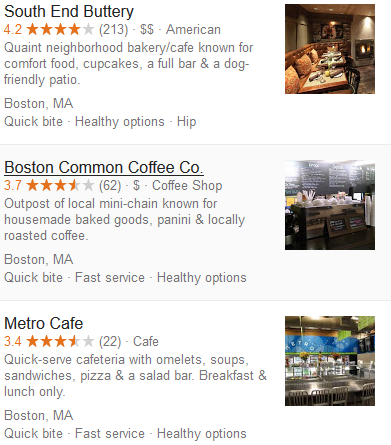 Based on your location, Google starts serving up the business listings for local cafes. Looking at the three café listings on the right, which would you choose? We bet your first choice would be the South End Buttery. With over 200 reviews and a 4.2-star rating, it’s safe to assume that customers love it there. The Metro Café might be a great spot for a coffee, but the 3.4-star rating doesn’t stack up to the South End Buttery. Now that we’ve looked at a practical use for Google business reviews, let’s look at some statistics that support their importance. “Googling” is a verb and Google is the outright authority among search engines. In fact, Google processes over 40,000 searches per second! Do the math and that’s over 3.5 billion searches per day! Verify your business using Google’s free “My Business” listing. This allows you to regularly update business photos, special holiday hours, and even respond to your reviews publicly and directly. To start the process of claiming your listing, click here: Google.com/MyBusiness. 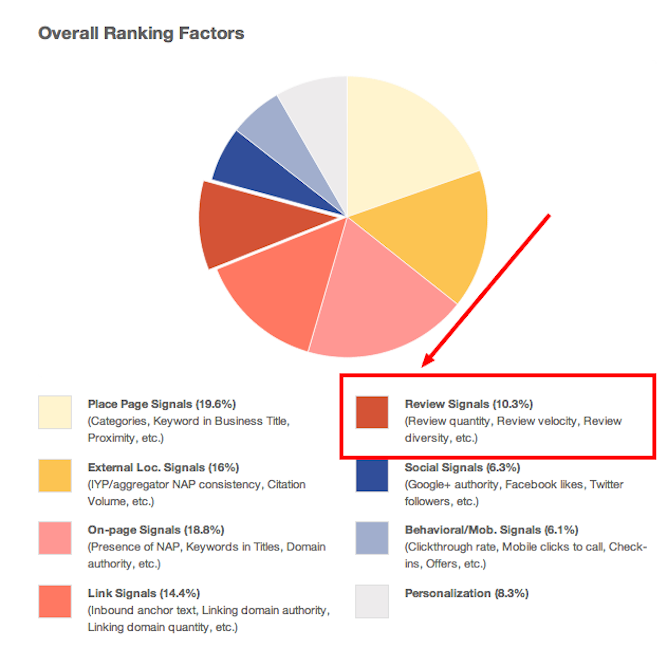 Once your Google My Business listing is claimed you should begin optimizing your listing. Check that your information is accurate. This includes store hours, link to your website, correct business category, a company description, types of payment accepted, etc. It’s good to get in the habit of asking for reviews from your customers- but you should not try to solicit reviews all at once. Google is known to flag and disregard reviews that happen within a brief period. The best strategy is to build them consistently over time at try to ingrain reviews into your business strategy. A few ideas to encourage business reviews include using signage at the final point of sale, reference leaving a few on receipts and invoices, put it on the menu if you own a restaurant, offer a discount for those that leave a review. Get creative with how you go about building your business reviews on Google but just remember that you have to ask!